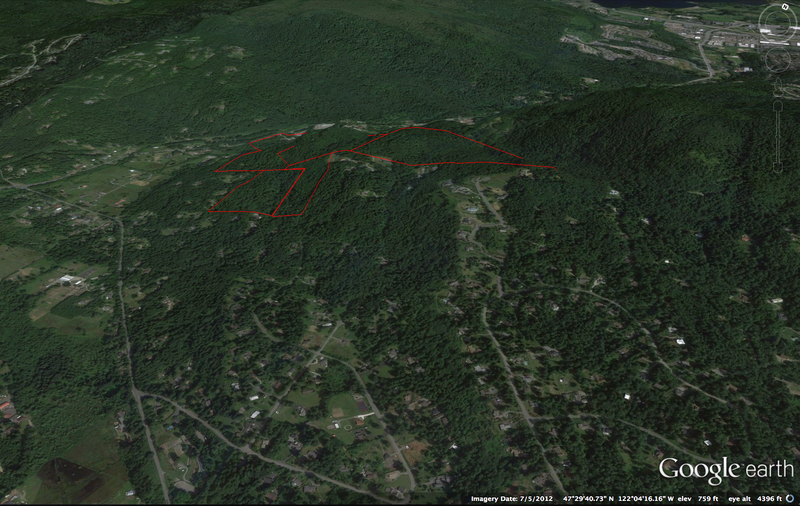 With many thanks to High Valley resident Francois Rouaix who did all the work, we’re able to show you a bird’s eye view of the enormous impact the logging would have on Squak Mountain. 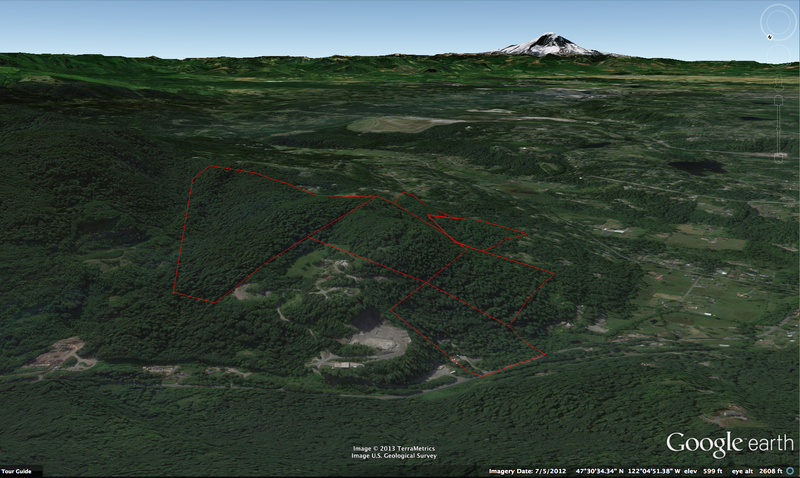 King County parcel coordinates were entered into Google Earth to create an interactive flyover of the area. 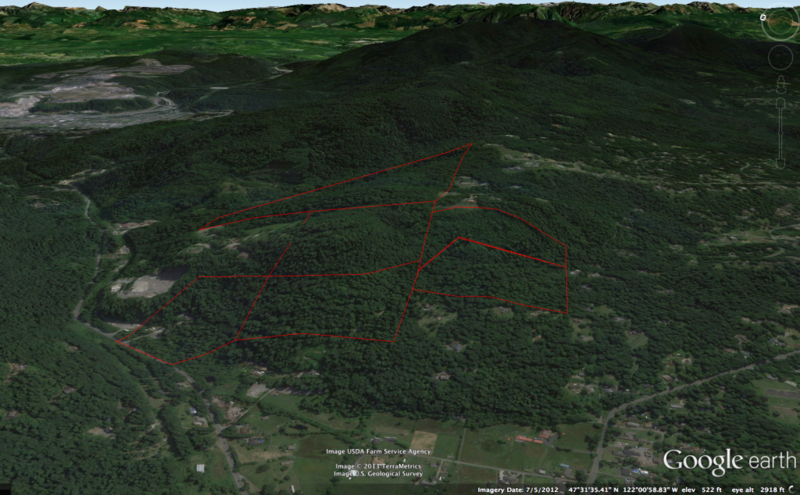 You will need to have the Google Earth Plugin installed — you can get it here. We also have some snapshots of the view below the interactive presentation. This is an interactive presentation. You can use your mouse or touchpad to zoom in, rotate, change the view angle and much more using the embedded controls on the screen. 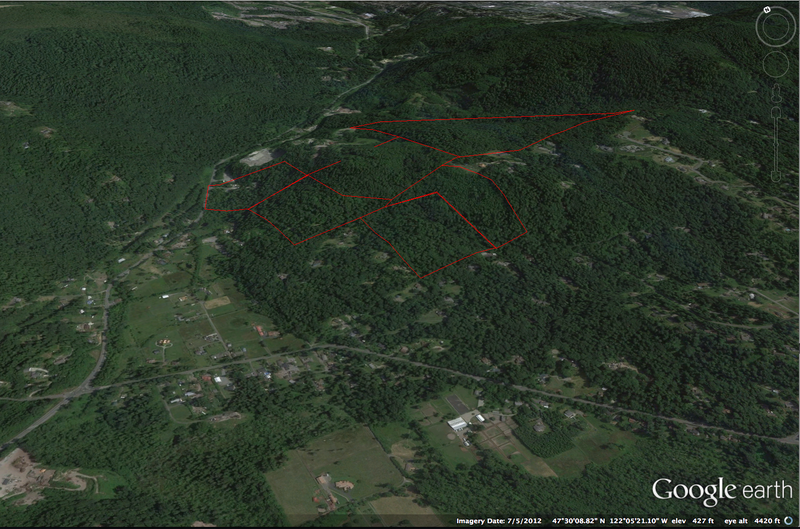 Click on any of the views below to enlarge — the enlargements will open in a new window or tab.